Fly-tipping – the illegal dumping of rubbish and household waste – is an ever increasing problem. Last week, on Wednesday 25 July, Tendring Council issued a warning after two separate cases of fly-tipping in the Tendring area. The Council warn that householders should be aware that rogue-traders, who are not licensed for waste disposal, are charging householders to collect rubbish and then dumping it by the side of the road or on farmland, where either the council or the landowner is then obliged to clean it up. According to the Council, traders that are licensed to dispose of rubbish should have a waste carriers licence and should provide the householder with a waste transfer note on disposal. The Council are urging householders to ensure that they use a reputable company and ask to see their licence before engaging them. 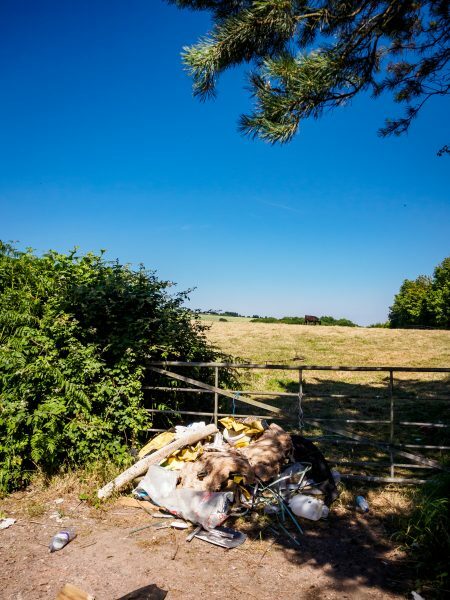 The Country Land Owners Association (CLA) has also highlighted fly-tipping as a particular problem for farmers and landowners (more here) and is lobbying the Government with a five point action plan for how they can work more closely with farmers and landowners to ease the problem. You can download the plan here. Currently, the farmer / landowner must pay to dispose of any waste that is illegally tipped on their land and can face penalties if they do not clear it quickly enough. According to the CLA article on the subject fly-tipping is “a menace that is blighting the countryside.” Their figures show that two thirds of farmers and landowners have been affected by the issue and over 50% agree that it is a significant problem in their area. Please do heed the Council’s warning and make sure that, if you do have rubbish to dispose of, that it is taken care of by an authorised contractor. You can also report an issue by visiting the Council’s website here. Thompson Smith and Puxon is a corporate member of the CLA and is committed to supporting the business of the countryside. The Agriculture and Estates team, led by Stephen Firmin, a Fellow of the Agricultural Law Association, can help farmers and landowners with all of their legal needs. Please call 01206 574431 or email info@tspegal.com to find out more.